Leica has announced a firmware update for the mirrorless SL system camera. Version 3.0 improves workflow for photographers, including independent photo and video exposure settings, plus built-in automated firmware updates for two Leica lenses, the Vario-Elmarit-SL 24-90mm F/2.8-4 ASPH and APO-Vario-Elmarit-SL 90-280mm F/2.8-4. In addition, updates are also available for Leica Image Shuttle software, the Adobe Lightroom tethered plug-in and the Leica SL app. The most significant improvements include independent photo and video exposure settings, which means faster shooting workflows for photographers, the option to shoot using the electronic shutter only, which allows for silent exposures from 1 to 1/16,000 sec., and the time to save files to SD cards, which has been reduced by up to 35%. Firmware update 3.0 is available immediately. 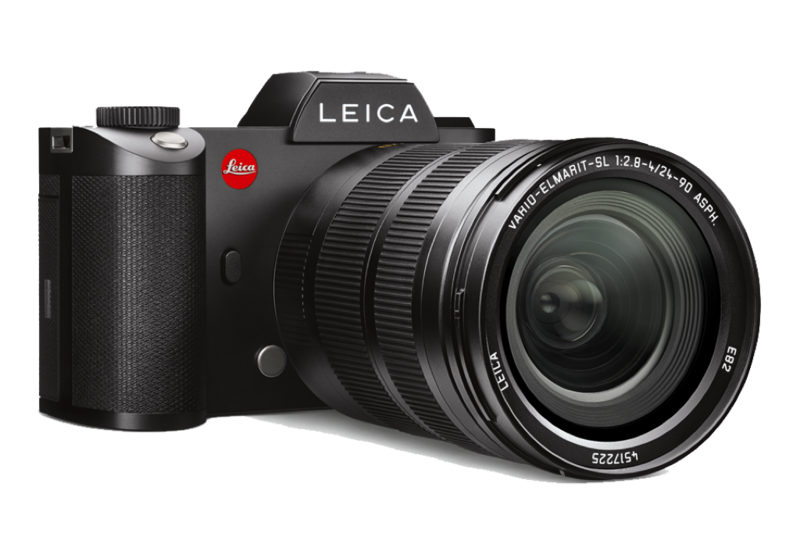 May 31, 2017 – Firmware version 3.0 for the Leica SL-System is now available for download. The Leica SL’s range of functions and customization options in both photo and video modes has been comprehensively expanded. The update significantly reduces the time required for saving DNG RAW image files to SD memory cards and enhances the speed, accuracy and handling of the autofocus system. Version 3.0 also includes built-in automated firmware updates for the Leica Vario-Elmarit-SL 24-90mm f/2.8–4 ASPH and Leica APO-Vario-Elmarit-SL 90-280mm f/2.8-4 lenses, for further performance optimizations. Accompanying this release of new firmware, updates are also available for the Leica Image Shuttle software (Mac & Windows), the Adobe®Lightroom® Tethered Plugin (Mac & Windows) and the Leica SL App (iOS & Android). The time required for saving files to the SD card has been reduced by up to 35%. This means that the buffer memory of the camera is cleared more rapidly and is ready for use again much sooner. Photographers will notice this most when the camera is in continuous shooting mode. Video and photo exposure settings are now independent of each other, no longer needing to be adapted when switching from one mode to the other. By making these settings separate of each other, the new firmware makes shooting photo and video faster and more convenient, speeding up a mixed-media workflow. Photographers also now have the options to capture photos exclusively with the electronic shutter. This enables completely silent exposures in a shutter speed range from 1s to 1/16,000s. An option for saving DNG and JPEG files separately on different memory cards (e.g. DNG to SD1 and JPEG to SD2). A new video mode: Ultra HD at a frame rate of 24 frames per second (3840×2160 @ 24 fps). Optimized “Flash” white balance pre-set, for use with studio flash systems. Continuous exposure preview in LiveView when using manual exposure mode. The last magnification location of the playback zoom function is now saved to enable easier and faster checking of critical focus. Aperture and shutter speed settings can now be assigned to either the front or the rear dials. In AF Tracking mode, the AF point can now be assigned either to a fixed starting position or will vary depending on the last used AF point location. Option for 6x magnification with one press of the AE/AF button while in Manual Focus mode. Direct on-the-fly control of audio recording levels is now possible by toggling the joystick left or right on the live histogram screen. In total, the new firmware update brings 31 improvements to the photo and video functions. The firmware update is available from the Leica website (https://www.leica-camera.com) or by logging in to the Leica Owners’ Area (https://owners.leica-camera.com). Users can either download and install the update themselves or have it installed for them at any Leica Store. Passion for creating perfect pictures. Leica represents a union of craftsmanship, design and experience. It is a beautiful collision of art and engineering, and the future of form and functionality. Leica Camera is an internationally operating, premium-segment manufacturer of cameras and sport optics products. The legendary status of the Leica brand is founded on a long tradition of excellence in the supreme quality and performance of cameras and lenses, and the iconic images that artists and photojournalists everywhere captured with them. For more information about Leica visit www.leicacamerausa.com, or follow the brand on Facebook, Instagram and Twitter.